Shamkir District with its administrative centerShamkirCityis situated in the West of Azerbaijan, 399 km away fromBaku. 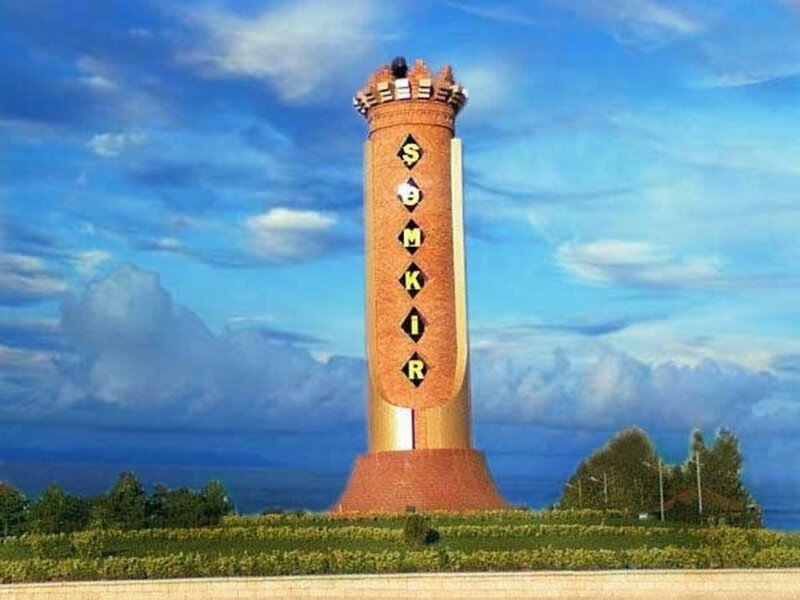 Favorable climate, rich cultural and historical heritage, and well developed infrastructure are the important factors, which make tourists attracted to Shamkir. According to very modest calculations the city’s existence begins from the 5th century, and the period of 9th-11th centuries is considered to be its flourishing time. In this period Shamkir was a prosperous Muslim city actively involved into international trade activities. In 1235 Shamkir, along with Ganja was occupied and destroyed by Mongols. Later on anew city was built in this area, and the old one abandoned. There are full-scale excavations nowadays carried out in old Shamkir, the medieval ancient settlement laid on left bank ofShamkirchayRiver. When you look at the grand city walls that acquire an outline of fortification work; the remains of housing premises and engineering structures of the city, it is clear that the ancient urban community had high cultural standards. Travelers’ special interest is also shown in so called “German pages” of Shamkir’s history. Back in 1819, immigrants fromWurttembergarea, escaping from revolt of Napoleon wars, came toAzerbaijanand established here first two colonies – Yelenendorf and Annendorf (now Goygol and Shamkir cities). Later on four more colonies found their existence in the area. Since then, there remain many historical evidences of German “footprints” in Shamkir, among which the whole streets with German houses built along, beautiful Lutheran Church, parks, Winery and etc. are worthy to be mentioned. By the way, the foundation for wine-making industry inAzerbaijanwas laid also by Germans. Speaking about Shamkir people it should be said that they are known by their entrepreneurial spirit. The whole district is full of greenhouses where the households cultivate vegetables and export the produced products to neighboring countries. And it is not a surprise that the first ever high technological greenhouse type of complex AzAgro specialized on cultivatingHollandroses in the country was established just in Shamkir. Shamkir today is not only a city with its great history; it is also a new town that opens up the whole range of opportunities to its visitors. There is a huge Amusement Centre in Shamkir’s CityParkwith more than 150 breathtaking amusement rides one can enjoy. Shamkir’s "Zaka" Intellectual Youth Center’s Library is connected to Follett International, the world’s largest educational library network, which provides an access to countless eBooks and audiovisual materials. And 2 km long West Gate Shopping Arcade within its territory combines shops of the most famous local and world brands.